Read the full text of thousands of reports online, free. Read the full text of more than 1,000 reports online, free. PNAS is one of the world's most-cited multidisciplinary scientific journals. The Institute for Laboratory Animal Research publishes this quarterly peer-reviewed journal for all who use, care for, and oversee the use of laboratory animals. The TRR Journal, a peer-reviewed journal that is published throughout the year, consists of collections of papers on specific transportation modes and subject areas. 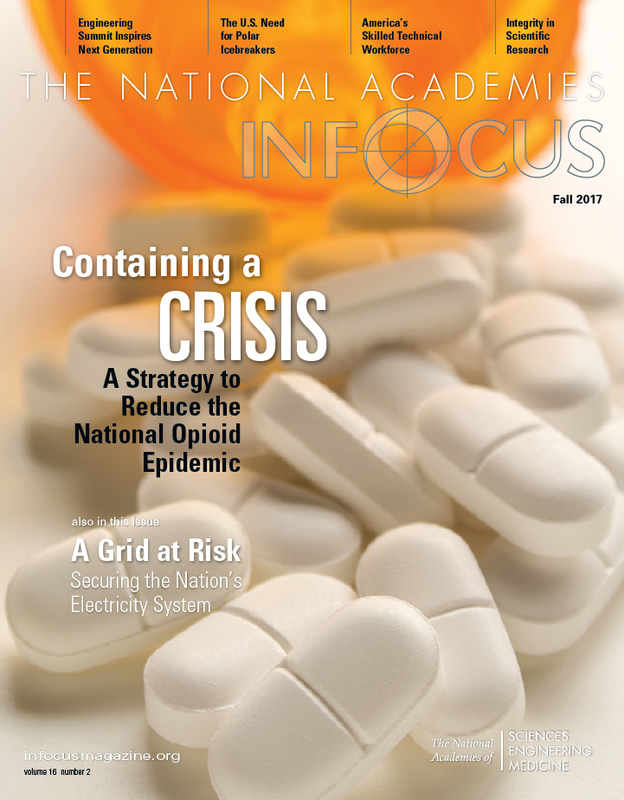 The National Academies In Focus features a broad range of reports and other activities at the Academies. This quarterly from the National Academy of Engineering presents opinion and analysis on current engineering and technology issues. This bimonthly publication from the Transportation Research Board offers articles on innovative and state-of-the-art research and practice in all modes of transportation. Edited in collaboration with Arizona State University and published quarterly with the University of Texas at Dallas, Issues provides a forum for discussion of public policy related to science, engineering, and medicine. A yearly highlight of our work, which is conducted under an 1863 congressional charter granted to the National Academy of Sciences, this annual publication also includes a full list of studies completed that year, a listing of current congressionally mandated projects, and a section on revenue. Subscribe here to receive weekly updates and other news delivered straight to your e-mail inbox. Sign up for daily access to news releases, publication announcements, research updates, and other content provided by various RSS News Feeds. Join our social network and learn about the Academies’ work through and . Based on our expert consensus reports, these booklets are designed to improve public understanding of today's most important and complex scientific, engineering, and medical issues. The National Academies Archives collects, maintains, and preserves the essential documentation of the activities, policies, and procedures of the National Academy of Sciences, National Research Council, National Academy of Engineering, and the Institute of Medicine. The Research Center’s collection consists mainly of the National Academies’ body of work: over a century of endeavors in scientific, technological, engineering, and medical fields. The public can view the collection by appointment. The National Academies in partnership with Google has digitized the Research Center's collection of reports from 1863 to 1997. These reports are available free and in full text, and are searchable.